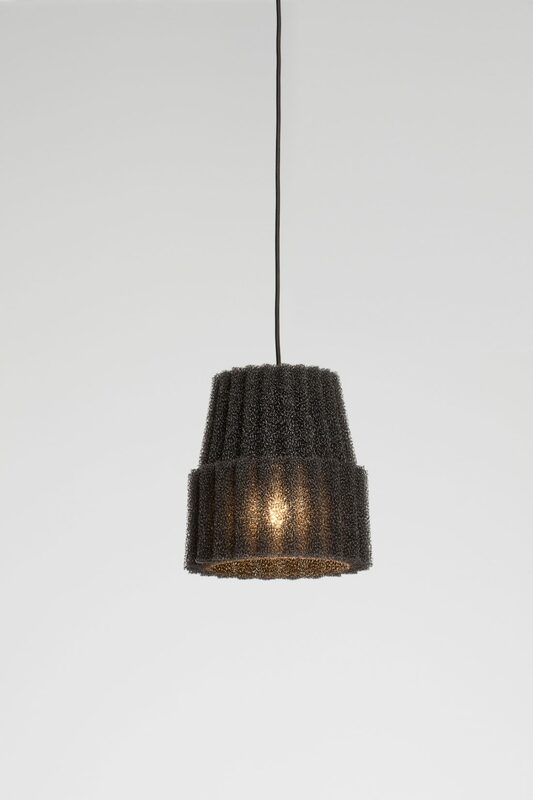 VEKKI is a foam lamp made of fire-retardant technical foam with playful pleats allowing the light to sparkle through the material. Because of its’ light weight and small size it is well suitable for bars, cafes, restaurants and domestic environments. Available in black foam with black fabric cord. The diameter of the lamp is 26 cm and height 26 cm. Tuukka Halonen has designed an interesting, intelligent and sustainable light collection for Showroom Finland. Tuukka is a Finnish designer with an international background. 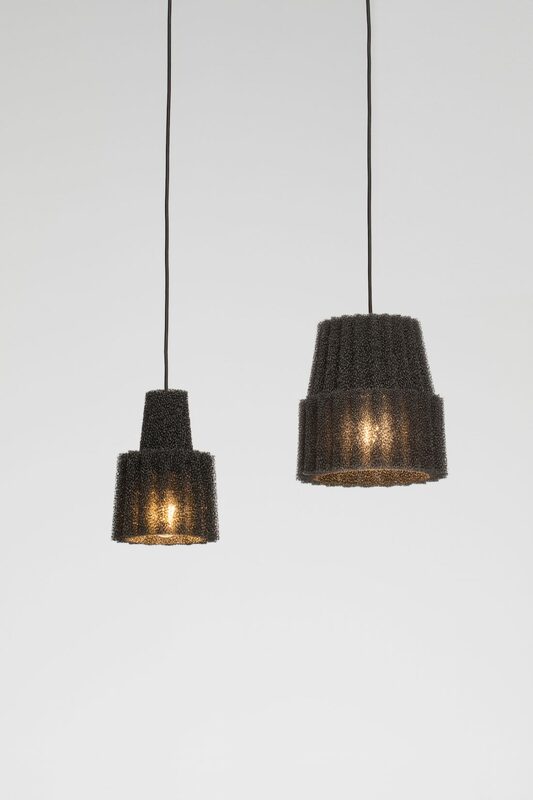 He studied at the Royal College of Art in London and worked several years for Habitat and Tom Dixon’s Design Office.